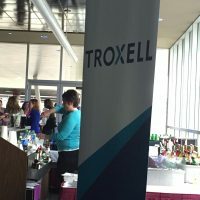 This RW Troxell Training Corporate Event took place in the beautiful atrium area of the Prairie Capital Convention Center. 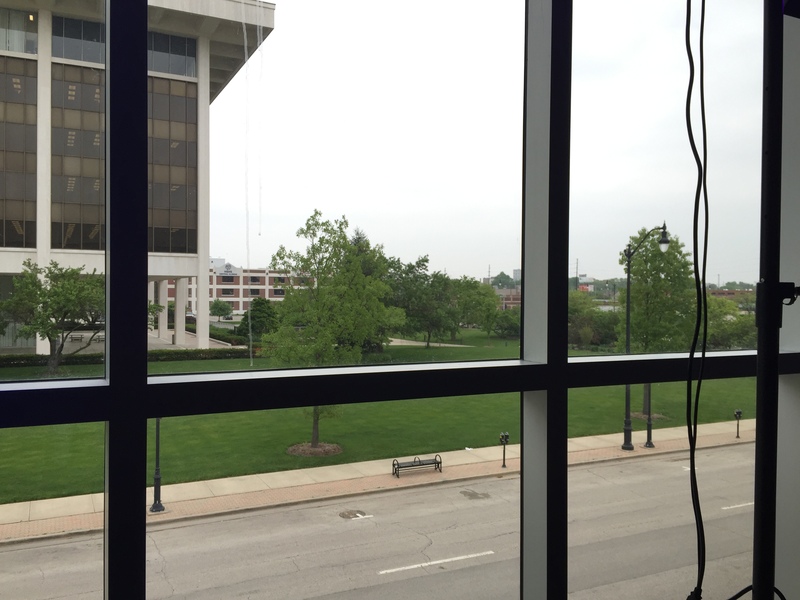 This is a great venue for the state capital city of Springfield, Illinois. Read on to learn more. This Bank of Springfield sponsored convention center has everything you could possible want or need. Whether you’re looking for large convention space or a small party venue, they have you covered. The staff is super professional and we found them to be so helpful with our set up and tear down. They really know their stuff at this great venue. 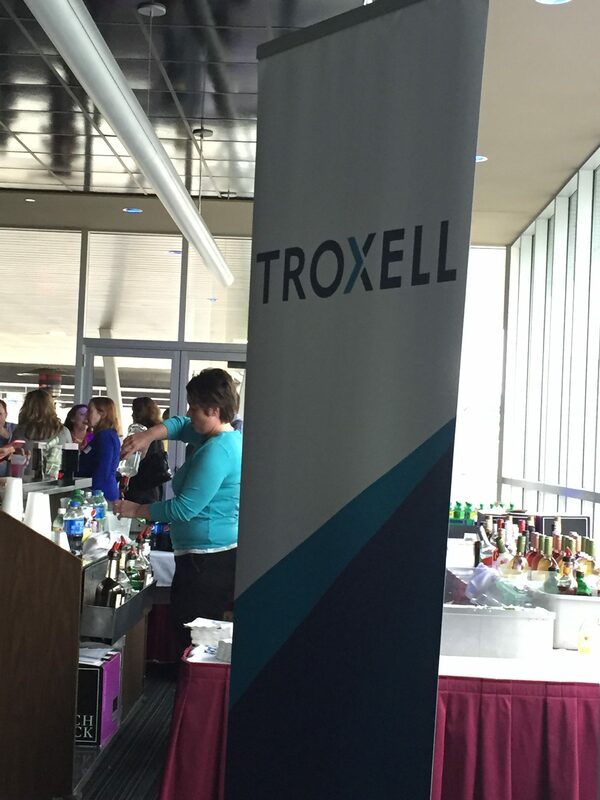 The RW Troxell Training Corporate Event went off without a hitch. 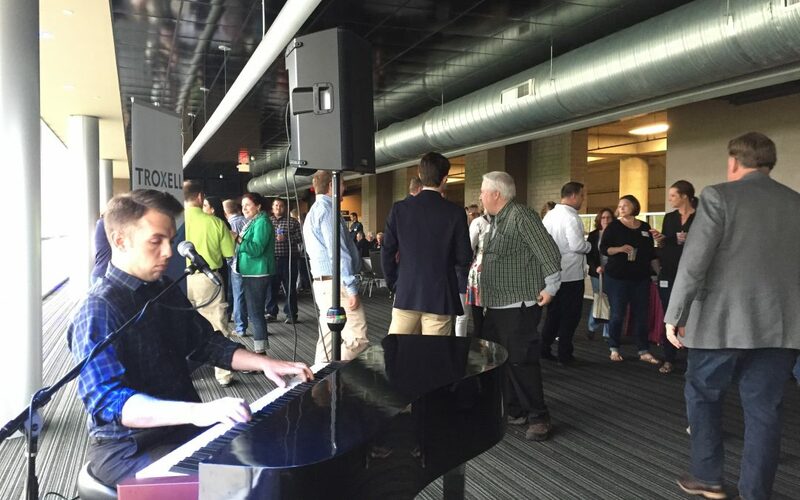 We played for this group in the gorgeous atrium area and everyone seemed to truly enjoy themselves. 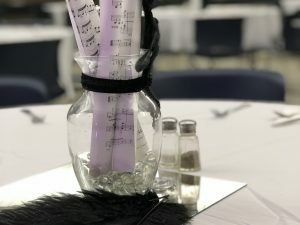 Click here if you are searching for the perfect central Illinois venue. 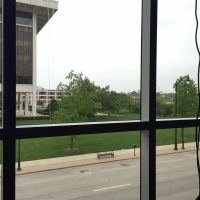 You will see how much the BOS Prairie Capital Convention Center has to offer. This was more of an informal party than an organized event. It was a training meet and greet for the RW Troxell organization and had a very laid back atmosphere. We could see everyone was just getting to know each other and knew they were being a bit reserved. So we played some audience interaction games to liven things up and low and behold, by the end of the party we had them all dancing and singing along. One young man even did a superb Michael Jackson impersonation and had everyone clapping with admiration. What a fun time it was! 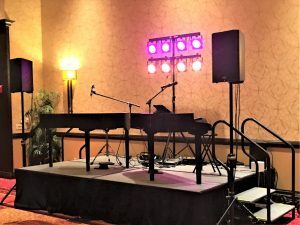 Felix and Fingers Dueling Pianos is the perfect solution for a getting to know you event. We will put everyone at ease and create memories that will last a long, long time. You will hear your employees still talking about the night they met for years to come we’re sure. We’re just that fun! 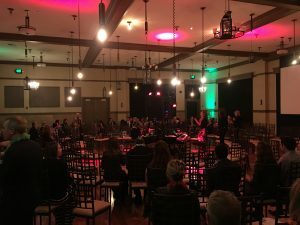 We made it super easy for the employees of this RW Troxell Training Corporate Event to create relationships that will last for a long time. If that is the atmosphere you want for your company, give us an email or a call and we’ll be there to help you out. Click here for all of our information.